Corporate UK – why do women walk away? I am revisiting one of my pet subjects this month: making corporate UK female friendly. No doubt, most young women, well, the ones with any aspirations, will enter corporate life excited, with the belief that equality is absolute. But unless they join a structured graduate or intern programme their starting salary is likely to be less than their male colleagues and by middle management many of them will have disappeared, as the journey upward becomes less and less attractive. Fuelled by endemic sexism, testosterone driven values and the clear message that military tenacity is demanded to even consider integrating the role of mother and executive. The choices simply become impossible to juggle and any attempt to live an authentic life is futile. At the heart of this phenomenon is the loss of female identity and the de-valueing of motherhood. Emily Davison staged her protest and many suffragettes endured horrific hardships to secure women the right to vote, to be heard, to have their say. At no point did any of them express the desire to behave, think or act like men! Equality was fought on the basis of difference, votes for women. Since 2002 the number of women leaving the corporate sector has hit an all time high with many organisations losing up to 40% of their senior female talent and this trend is not set to change anytime soon. But are we tackling the real reasons for this exodus? Many of these women have since set up their own businesses or moved into freelance working so they are clearly more than competent and driven, are they not? Being an entrepreneur not only allows some flexibility on hours worked but more importantly it is attractive to smart women as they can steer their own ship, name it, define it and lead by their own values. However, do not be fooled into believing that this is the easy option. Running your own business comes with a different set of challenges. Being your own boss is certainly NOT less hours, less stress or less brain power,but it does allow you to stay true to self, lead from your feminine side without having to justify this and fit your work hours around motherhood. Maybe these benefits give us some insight into why women may be walking away from corporate UK? Young women know the journey to the top is tough. They see few role models of women who have done it and done it with ease. They have working Mums, Aunts and Sisters who have gone before them and their stories are not always pretty! They know the decision to have a family will come up at some point and they know this may be a deal breaker for their career so many are asking ‘why bother? The jury is out on the effectiveness of gender balanced boards but still we debate and debate and whilst we continue to debate this and women’s role in the workplace, the talent pipeline is drying up! We need to acknowledge that testosterone fuelled environments, unworkable hours (not the quantity, the set patterns of 14 hour days in the office, the lush hour, etc) and a blasé approach to risk are no longer valued nor prized in business today. We need to shift from ambition to inspiration; sales to service and competition to collaboration, all truths easier to achieve with women on boards. 1. Go native ie. behave like a man, become one of the boys, don’t rock the boat. 2. Continue to climb and become a trail blazer. This demands focus, a thick skin and highly tuned influencing skills with the acceptance that you will need to switch identities several times a day. It is emotionally exhausting and tough to sustain long term. 3. Get out. Whist I continue to salute and champion the women out there making a difference, if we are going to fix the talent leak we need to stop fixing the women and start fixing the organisations. 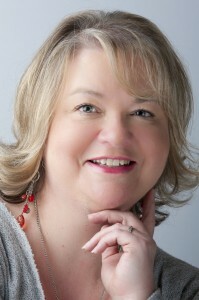 Jane Kenyon is a regular contributor to the3rdimagazine. 3 Comments on Corporate UK – why do women walk away? I’m not sure that the reasons women walk away are quite as simple as you suggest Jane but certainly some women do cite some of the reasons you mention as influencing their decisions. I do wholeheartedly agree that we need to stop fixing the women and start fixing the organisations. This is true across the piece, from talking to girls about “staying safe” when we should be tackling the reasons why women don’t feel safe through to giving young girls coaching about being powerful and able to succeed in a man’s world when we should be changing that world. There is nothing wrong with women! We need to stop looking at special help and tailored support and start to fix the system itself. I agree. There is less to be gained from fixing women as individuals than to be gained by fixing the systems. Many men walk away too. It is the culture of the corporate that confounds many enlightened and essentially “good” people irrespective of gender. There is no eay role or place to hide in senior corporate roles and the sactrifices made are frequentally debiltating and humiliating. “Do what we want, how we want it, now” is the requirement and if you cannot or will not, there is a stream of mis-guided individuals (men and women) prepared to take your place. For too many, money and ego talk over motive and intent. I accept that wage structure is unacceptably inbalanced but by fixing a one-off case, irrespective of the individuals altruistic intent, will only put a plaster on one wound. I recently heard a story of an Executive of a UK Plc being asked how they address underperformers in the work place. His response was that they only employ good people and if someone is not performing as they expect then they need to look at what has happened within the organisation that has caused that individual to behave in that way. A refreshing point of view and one that seems to be echoed in your comments. I am one of those individuals that left a 20+ year career to set up my own business. More and more demands were being placed on me in the corporate environment and the phrase “those that can get put upon” often used. Even paying for help with cleaning, ironing and childcare juggling running a home, having a daughter who is into competitive swimming and a husband who spends part of the week working away, was still difficult. Faced with the choice of continuing to let myself be put under pressure and make myself ill or walking away and going it alone, the decision was an easy one for me – if you can’t change a situation, take yourself out of it! My days may be longer, financially it is harder but the rewards are greater.